By default, RumbleTalk group chat supports invisible observers: those who watch the conversation unfold without logging in. 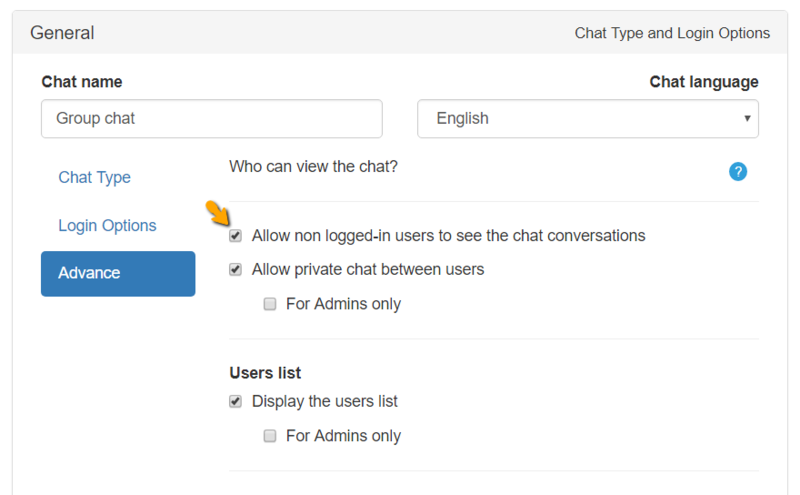 However, this feature can be disabled in the admin panel, if you wish to ensure users log in to see the conversation. To disallow “viewers” without logging in, simply go to the chat settings and choose Advanced -> uncheck the “Allow non logged in users”. Previous postDo you offer the chat for free? Next postAre there any restrictions to when I can change the design?